Sweet and simple, right? I like that profiles are only for the purpose of viewing, commenting on, and liking photos. But snapping, creating and sharing photos is still mobile-only as if to preserve the simplicity and pureness of the experience. To see your profile, go to instagram.com/[username]. 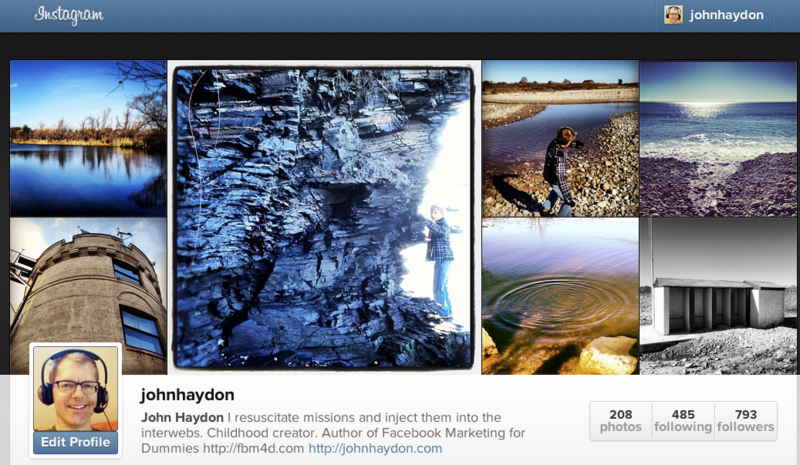 What can I do with Instagram Web profiles? Whether you have your own account or an organization account for your nonprofit, you can share your own profile with anyone you want to see your Instagram photos. You can also follow other users, comment and like photos, and edit your profile directly from the Web. All photos you’ve shared to Instagram are included in your Web profile. What do you think about Instagram’s new offering? I hope they’ll also make it possible to upload from the computer since I mostly use my DSLR to take photos and upload it to instagram.